Today is World TV Day, the UN’s celebration of the global cultural impact of television. To mark the occasion, broadcasters from all over the world are releasing various statistics showing the ongoing impact of the medium. And like every other day, billions of people will together spend billions of hours watching TV, talking about it and sharing it. 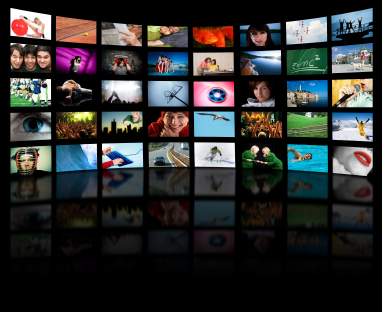 TV reaches 210 million people every day, who collectively watch 840,000,000 hours of TV per day. If you stood all of TV’s daily viewers one on top of the other, they would stretch all the way to the moon (based on a stat revealing the average American being 5 feet 6 inches or 1.64m tall). In Poland, 25 million people tune in each day for an average of 4 hours and 18 minutes – totaling a mind-boggling 483,883,433 daily views. 318 stadiums would have been necessary to fit all Poles watching the Poland-Portugal game of the Euro 2016. The most-watched program in 2016 – the final of the Eurovision Song Contest – was viewed by 3.6 million people, or four out of every ten Swedes. 3,679,000 Fins watched an average of four hours of TV each day (2015). In a very random fact released by PEPPTV, that means that in average, the equivalent of over 6 million hockey games are being watched on TV by Fins daily. The most-watched program in 2016 – the Switzerland v. France match during Euro 2016 – reached 2,206,890 viewers, or three times as many Swiss people as there are cows in Switzerland. With this number, you could also fill the biggest stadium in Switzerland (St Jakob Park) 57 times. (Audience: Instar Analytics, Switzerland national, P3+ incl Guest, R-T cumulatice, CH-National, Overnight+7, all platforms, SRF zwei, RTS deux, RSI LA2. 132.5 million Brazilians watch TV daily and the average minute rating in primetime is equivalent to the entire population of the United Kingdom (64.8 million). This number reaches 13.5 million people daily in Colombia. That's 48% more than Columbian Actress Sofia Vergara's followers on Twitter. 16 million in Peru in one week. The number-crunchers say that with this number you can fill Machu Picchu every day for over 17 years. Combining a day in Chile, Peru and Colombia equals the number of people who have visited the Rio Carnival in the last 35 years! To celebrate their love of television, viewers are encouraged to use the hashtags #WeloveTV and #WorldTVDay on social networks to mark World TV Day on 21 November.